Owning Castle Crashers can help you unlock Hatty Hattington! After just one day into the release of BattleBlock Theater, we are already enjoying the game’s quirky co-op shenanigans. For fans of The Behemoth’s line of fantastic games, such as Castle Crashers and Alien Hominid HD, they will be glad to hear that players can unlock a few of these game’s star characters within BattleBlock Theater; crossovers galore! The Behemoth has been known to include its many lovable characters into their other highly praised games, BattleBlock Theater being no different. 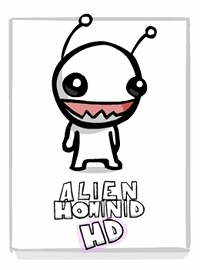 Any and all loyal fans of the developer who own either copy of these two games will be able to unlock both Alien Hominid (the star of Alien Hominid HD, also their first game ever) and a Castle Crasher knight as playable characters. 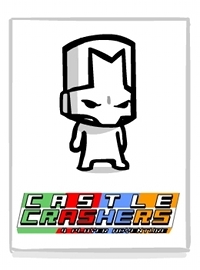 If you don’t own Castle Crashers XBLA at the moment, it is currently on sale for 800 MSP on the Xbox LIVE marketplace. The sale ends on April 4th, so don’t wait much longer to get this gem of a game and get all the cool unlocks BattleBlock Theater has for gamers. We’ll have our co-op review of the game up soon, so stay tuned. Page created in 0.5060 seconds.